RasterWeb! 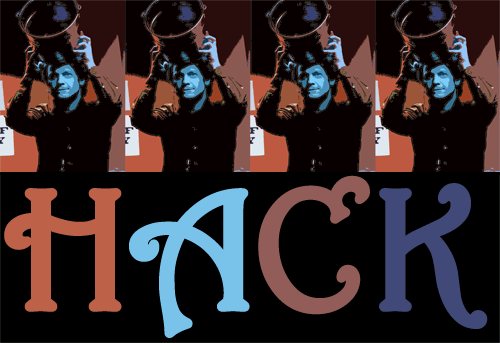 MilwaukeeDevHouse5 – Hack the Bucket! MilwaukeeDevHouse5 – Hack the Bucket! Hack the Bucket? Hack the BarCamp! It’s been a long time since we’ve held a MilwaukeeDevHouse, and while Milwaukee Hacker House has been doing somewhat regular events, DevHouse hasn’t, but we’re changing that! BarCampers, Web414ers, and anyone else that does a meetup or event at Bucketworks, we invite you to MilwaukeeDevHouse5, happening on Friday, December 3rd, 2010, from 5pm to Midnight. We may not finish everything we start that night, but it should serve as a starting point. Also… the sky is the limit. The sky is the limit. Really. We mean it, Any idea should be shared. Do you think there should be an iPad on the wall in every room? Should BarCamp have electronic SmartBadges that alert you to things? Should the grid wall be a giant touch screen? Want permanent videoconferencing and video streaming stations everywhere? RFID tags on everything? A grid of 20 monitors on a wall displaying artwork, photos, and data? Robots that serve us drinks? Anything. Don’t let any limits to your imagination keep you from sharing. Once we have all these (possibly crazy) ideas, we’ll set about trying to make them happen. The “iPad on the wall in every room” idea might turn into “computer near the wall in every room” until, you know, we get the funding to make all of these dreams come true… but really, we’re hoping to spark some ideas, and adjust them to fit into what is possible with the resources we do have, or can secure. I’ve got a few old computers, displays, and other hardware at the office I’ll probably bring along in the hopes that we can hack them into something interesting. Posted on Friday, October 15th, 2010 at 7:00 pm. Subscribe to the comments feed. Both comments and pings are currently closed. Post on your own blog. Every attendant is given an RFID tag; readers are placed at the entrance to various rooms/sessions and other random places as “check-in” points a la foursquare, and updates are sent to twitter through that user’s name automatically (registered with the RFID tags) with hashtags for MKEDevHse5 and hashtags for the keywords/topics of the sessions.